Permanent Magnetic High Speed Railway/Trains. Permanent Magnetic High Speed Railway refers to the new generation high speed railway with permanent magnetic synchronized hauling system which is combined by CSR Qingdao Sifang Co., Ltd with permanent magnetic motor provided by CSR Electric Motor Co., Ltd (hereinafter referred to CRS Electric Motor), application system provided by CSR Zhuzhou Institute Co., Ltd (hereinafter referred to Zhuzhou Institute). In early November, 2014, the first high speed railway with permanent magnetic hauling motor has been assembled in CSR Qingdao Sifang and will he tested and examined. It will come into commercial operation in 3 years at most. Countries with this technology: China, Japan, Germany, France, etc. Hauling train can save at least 10% electric power with low noise whole sealing motor and few maintenance. 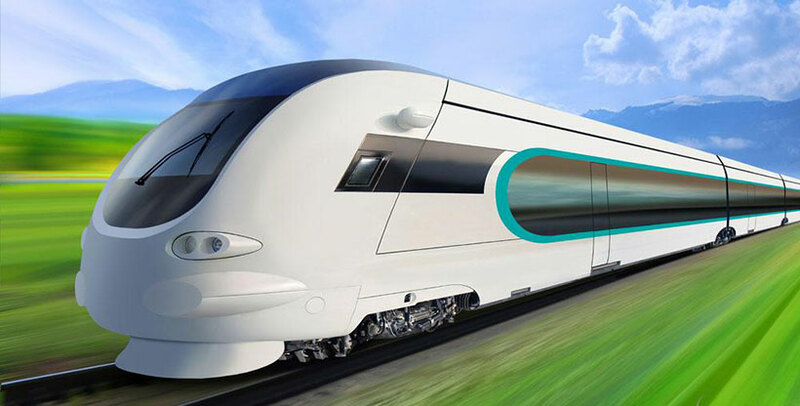 In high speed railway powers such as Germany, Japan and France, permanent magnetic synchronized drive system has been applied in high speed train, metro vehicles, low-floor vehicles, monorail vehicles and locomotive shunting vehicles. Most has finished sample development and practical routine examination and has been applied in small order in certain fields. Though Chinese permanent magnetic starts late in rail traffic research, it has gradually caught up with overseas advanced level. According to the commercial progress of permanent magnetic railway, it is expected to be realized in three years. The market then will be very impressive. China will build 96 lines of urban rail transport line before or after 2015, one line needs 20 lines trains with 6 cars. Each train is expected to invest one million. One line of permanent magnetic hauling drive system will generate 120 million production value. If all 96 lines take such system, the expected production value will reach 1.15 billion.